With endless parties and little sleep – even the cleverest of socialistas need a little help to get back the glow. We’ve got 4 key ways to bounce back from NYE and into 2016. Although it might be too late to get your good night’s sleep – you can cheat your way to brighter, more awake eyes with one easy step. 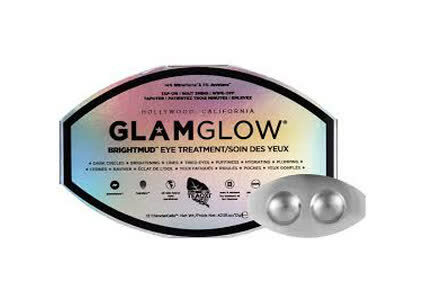 All you need is three minutes and Glamglow’s Brightmud Eye Treatment, available at The Nail Spa. Each pack contains mud that you apply all over the orbital region of the eye, leaving it on for three minutes before wiping off. What you’ll see is brighter and more lifted eye area instantly – Love it! Make-up, late night parties and sweet treats can really take a toll on your skin. If you’ve woken up with a bit of a breakout situation, here’s what to do – place a banana peel on pimple and gently rub it on till the peel turns brown. It reduces the inflammation over night and with continuous use of about 4 days you can see a huge difference with pimples practically gone. If you’re not really into DIY’s, the alternative is to cover it up. If it’s a bright red breakout – use a green concealer to colour correct the redness. Once the green concealer is blended in, use your favourite high-coverage concealer (one that matches your skintone) on top and blend that out with a sponge if possible – follow that with foundation and viola – it’s camouflaged. If you’re skin looks lacklustre and dull – we’ve got two amazing solutions for you to revitalize your skin! Splash or dunk your face in ice-cold water. Not only does it wake you right up, it calms any redness, tightens skin, hides any signs of hangover by bring the blood back in to your face. 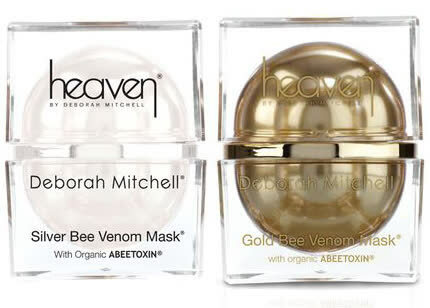 A more luxe way to treat your skin to a gorgeous glow is by investing in the Gold Bee Venom Mask from Heaven by Deborah Mitchell. The mask contains bee venom which immediately lifts, tightens and firms skin to reduce any visible signs of fine lines and wrinkles. The gold has the most intense amount of the world’s rarest bee venom Abeextoxin which acts like Botox but is all natural. 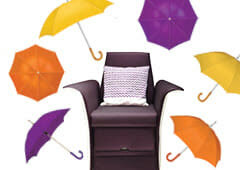 We love that it works on all skin types – including skin that suffers from eczema, rosacea. The excessive heat styling that your hair has gone through this month means your locks are in serious need of deep conditioning. We love the cocktail treatment available at Marquee – it has a serious dose of Kevin Murphy treatments catered to your hair type that moisturises hair leaving it healthy, supple and soft. We also recommend trying the Kevin Murphy Treat.Me treatments – there’s one that moisturises and one that strengthens depending on what your hair needs. Once hair is washed, a hot towel is applied before and after the Treat.Me serum to help it go deep into the cortex of the hair and really nourish it. For at-home upkeep – try applying a tiny amount serum to your hair every night, leaving your favourite conditioner on for longer than 3-5 minutes, perhaps even overnight or better yet, if you have coloured hair invest in the Olaplex No.3 for silkier, brighter and smoother looking tresses.